Welcome to Heidi Schnabel Jewellery! 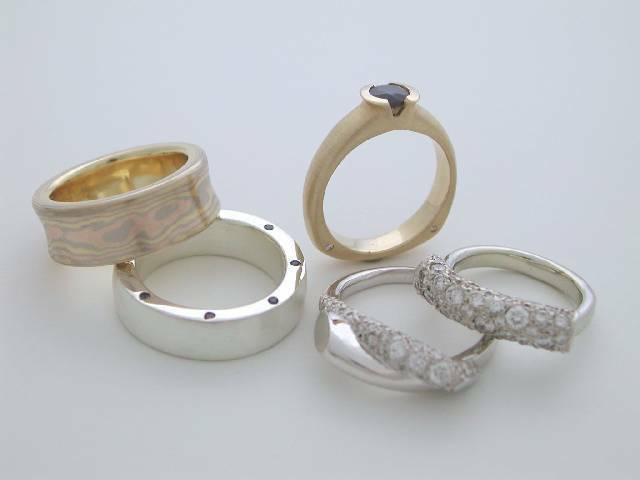 We provide the greater Toronto area with fine handcrafted gold, platinum, and silver jewellery pieces, specializing in mokume gane (wood grain patterned gold) and friendly one on one consultations with Heidi. Heidi will be relocating her Toronto Studio after 15 years	and be moving to a new location in the quaint town of Dundas, Ontario. Dundas is an eclectic community of artists and crafts people. Heidi will be open February 1st and will still be by appointment but intends to be available most days on location. See Heidi by appointment at her new location Valley City Dundas, Ontario in the new year, 2014.